(1) Crime control and prevention district–A district organized under Local Government Code, Chapter 363 (Crime Control and Prevention Districts), located within the boundaries of a municipality that imposes a sales and use tax on the residential use of natural gas and electricity. (B) any person not otherwise a public utility that owns or operates in this state equipment or facilities for producing, generating, transmitting, distributing, selling, or furnishing electric energy to an electric utility, if the equipment or facilities are used primarily for the production and generation of electric energy for the person’s own consumption. (3) Fabrication–To make, build, create, produce, or assemble components of tangible personal property, or to make tangible personal property work in a new or different manner. (4) Fire control, prevention, and emergency services district–A district organized under Local Government Code, Chapter 344 (Fire Control, Prevention, and Emergency Medical Services Districts), located within the boundaries of a municipality that imposes a sales and use tax on the residential use of natural gas and electricity. (5) Manufacturing–Every operation commencing with the first stage of production of tangible personal property and ending with the completion of tangible personal property. The first production stage means the first act of production and it does not include acts in preparation for production. For example, a manufacturer gathering, arranging, or sorting raw material or inventory is preparing for production. 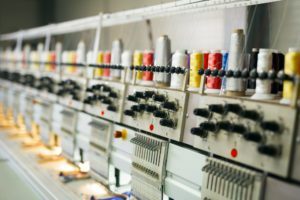 When production is completed, maintaining the life of tangible personal property or preventing its deterioration is not a part of the manufacturing process. Tangible personal property is complete when it has the physical properties, including packaging, if any, that it has when transferred by the manufacturer to another. Also see §3.300 of this title (relating to Manufacturing; Custom Manufacturing; Fabricating; Processing). (6) Processing–The physical application of the materials and labor necessary to modify or to change the characteristics of tangible personal property. The property being processed may belong either to the processor or the customer, the only tests being whether the property is processed and whether it will ultimately be sold. Direct use of natural gas or electricity in processing will be referred to as exempt use. Processing does not include remodeling or any action taken to prolong the life of tangible personal property or to prevent a deterioration of the tangible personal property being held for sale. The repair of tangible personal property belonging to another by restoring it to its original condition is not considered processing of that property. The mere packing, unpacking, or shelving of a product to be sold will not be considered to be processing of that product. (7) Remodeling–To make tangible personal property belonging to another over again without causing a loss of its identity, or without causing the property to work in a new or different manner. (C) use for common areas of an apartment complex, housing complex, condominium, campground, recreational vehicle park, nursing home, retirement home, or homeowners’ association, such as use for a recreation room, swimming pool, security gate, or for street lights and exterior lighting in a walkway or parking area. (9) Tenant–A person who is authorized by a lease to occupy a dwelling to the exclusion of others and who is obligated under the lease to pay rent. The term does not include a patient or inmate of a health care or detention facility, including a hospital, rehabilitation center, substance abuse treatment center, psychiatric facility, prison, jail, or other detention center. (b) State and local sales and use taxes applicable. The furnishing of natural gas or electricity is a sale of tangible personal property and presumed to be taxable. All the provisions in Tax Code, Chapters 151 (Limited Sales, Excise and Use Tax), 321 (Municipal Sales and Use Tax Act), 322 (Sales and Use Taxes for Special Purpose Taxing Authorities), and 323 (County Sales and Use Tax Act) applying to the sale of tangible personal property, apply to the sale of natural gas or electricity. (E) If a person appoints an agent to act on its behalf, the person must execute a power of attorney clearly stating the agent is attempting to qualify the principal for a sales tax exemption. (2) A person in business less than 12 consecutive months may still apply for a sales tax exemption if a registered engineer or a person with an engineering degree performs a natural gas or electric utility study based upon projected uses of the natural gas or electricity which shows the predominant use to be exempt. A person claiming an exemption based upon projected use must be able to support the claimed exemption with a study of actual use after 12 consecutive months of operation if requested by the comptroller. (3) A natural gas or electric utility study must be completed and on file at the location of the person claiming the exemption at the time an exemption certificate is submitted to the utility company. Without the study, the claim for exemption will be presumed to be invalid. (4) Persons obtaining a sales tax refund from a utility company without a valid study will be assessed tax, penalty, and interest by the comptroller on the full amount of the refund, if the exemption is not proved. (5) The comptroller may request a copy of a natural gas or electric utility study for review, either before or after the sales tax exemption is granted. Neither the comptroller’s review of a study nor the utility company’s acceptance of an exemption certificate confirms the study’s accuracy. If the comptroller subsequently determines a study is incomplete or inaccurate, tax, penalty, and interest will be assessed against the person claiming the exemption to the extent that the predominant use of the natural gas or electricity is taxable. (6) If a person claims a sales tax refund, and the utility study establishing the predominant use of the natural gas or electricity was performed retrospectively, the study must take into account any changes in equipment or other items using utilities, any changes in business activities, and any changes in square footage being served by the meter that occurred during or after the sales or use tax refund period. The comptroller will not accept a predominant use study that cannot be independently verified, such as a predominant use study performed for a closed utility account. (7) This subsection does not apply to persons who use natural gas or electricity for processing, manufacturing, or another exempt function if an industry-wide study for that particular industry reflects that the natural gas or electricity used would always qualify as exempt use. The industry-wide study must be submitted to the comptroller’s office for review and approval. A subsequent study may be required if factors relative to the original study change. (8) If a business claiming a sales tax exemption for natural gas or electricity purchases based on predominant use changes its natural gas or electric utility provider, but does not change its natural gas or electricity usage, it is not required to perform a new utility study. A copy of the study must be on file at the business location for which the study was performed, and a properly completed exemption certificate must be filed with the new utility provider before the exemption may be claimed. (1) An exempt user may issue an exemption certificate to the utility company to claim a sales tax exemption on its purchase of natural gas or electricity, or request the utility company to refund sales tax paid to the utility company in error. Exempt users may also request a refund of sales and use taxes paid on purchases of natural gas and electricity from the comptroller as provided in §3.325 of this title (relating to Refunds and Payments Under Protest). (2) A natural gas or electricity utility company may only accept an exemption certificate in lieu of tax if the exemption certificate is specific as to the reason for the claimed exemption. For example, if a person is claiming that the predominant use of the utility is for processing, the reason for the exemption must state, “A valid and complete study has been performed which shows that (insert the actual exempt percentage) of the natural gas or electricity is for processing tangible personal property for sale in the regular course of business.” For more information regarding the exemption certificates, see §3.287 of this title (relating to Exemption Certificates). (3) If an exemption certificate is fully completed with all information required by this section and bears an original seal of a registered engineer or is attached to a signed statement with an original signature from the owner of the business and a person with an engineering degree from an accredited engineering college, as required by subsection (g) of this section, the utility company is not required to make any additional inquiry before honoring the exemption request. (4) The exemption is valid only as long as the person continues to use natural gas and electricity predominantly for exempt purposes. If the use of the natural gas or electricity changes so that the predominant use becomes taxable, it is the person’s responsibility to notify the utility company in writing that the exemption is no longer valid. (5) A person who uses natural gas or electricity solely in a single-family residence is not required to furnish an exemption certificate. (6) A person whose use of natural gas and electricity is in multifamily apartment complexes, housing complexes, nursing homes, or other residential buildings may be required to issue an exemption certificate if one is necessary for the utility company to distinguish exempt residential use from taxable use. (7) A multifamily residential property may issue a blanket exemption certificate for vacant apartments that will be occupied as residences and billed under the property’s corporate name or the name of the property owner, if at least one unit in the property is occupied for residential use. (8) A person who claims an exemption for natural gas or electricity used for agricultural or timber operations must provide an exemption certificate to its utility provider that contains the person’s Texas Agriculture and Timber Registration Number issued by the comptroller and the expiration date. (9) A qualifying owner, qualifying operator, or qualifying occupant of a qualifying data center or a qualifying large data center project who claims an exemption for natural gas or electricity used for a qualifying data center or used for a qualifying large data center must provide an exemption certificate that contains the Qualifying Data Center or Qualifying Large Data Center Project Registration Number and the Qualifying Owner, Qualifying Operator, or Qualifying Occupant Registration Number issued by the comptroller to its utility provider. (i) Transportation of a material extracted from the earth. (1) Sales or use tax is not due on natural gas or electricity used to transport a material or its components extracted from the earth. Examples of materials or components extracted from the earth would be oil, natural gas, coal or coal slurry, crushed stone, sand and gravel, and water. (2) Sales or use tax is due on natural gas or electricity used to transport products that have been manufactured from a material extracted from the earth. Products which were manufactured from a material extracted from the earth include substances which do not exist in nature or are not components of crude oil, natural gas, coal, or other minerals extracted from the earth. (3) For purposes of this section, a material is not considered to be manufactured when an additive is combined with the material for ancillary reasons, for example, when odorant is added to natural gas. (j) Pipeline safety fees. Sales or use tax is not due on any surcharge for pipeline safety fees added to the existing rates of each investor-owned and municipally owned natural gas distribution company and each natural gas master meter operator pursuant to Texas Utilities Code, §121.211 (Pipeline Safety and Regulatory Fees). (k) Natural gas and electricity purchased by lessors of nonresidential real property. 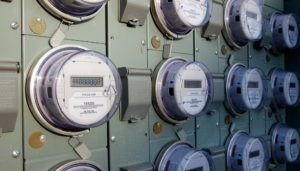 (1) A lessor of nonresidential real property that purchases natural gas or electricity directly from a utility provider is the consumer of the natural gas or electricity, and is making a taxable use of that natural gas or electricity, unless the lessor is otherwise exempt from sales and use tax. See §3.322 of this title (relating to Exempt Organizations). A utility provider may not make a tax-exempt sale for resale to the lessor of the nonresidential real property. (2) A lessor of nonresidential real property may not claim an exemption for the purchase of the natural gas or electricity based on a lessee’s exempt status or a lessee’s use of the natural gas or electricity.